Going Back to New Orleans (Post-Katrina Re-connections and Recollections) does a fantastic job capturing the angst surrounding the storm and the indefatigable spirit of the people of New Orleans. (Bert) gathered stories from friends, both longtime and long lost, and orchestrated his opus of The Storm. 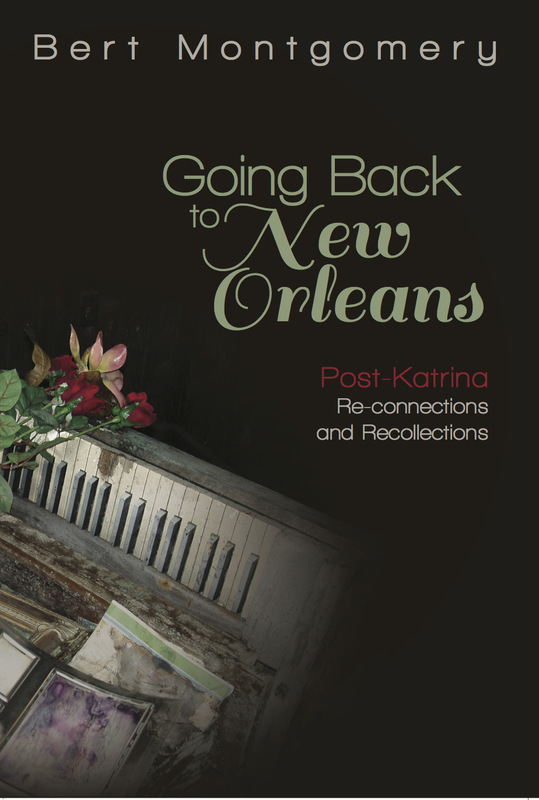 Going Back to New Orleans is different from other books about Katrina. This book captures the singularity of our city and the passion it awakens in its people. … The stories are all from Katrina survivors, all special, all real, and all compelling. It’s a must read for other Katrina survivors … (and) for others who have yet to grasp the devastation The Storm leveled against Louisiana. Bert's current writing, using the ancient art of storytelling, reflects how intimately we are all connected. … We might call this “social capital,” the value of accumulated relationships over a lifetime that get focused on the tragic outcomes of Hurricane Katrina. These stories didn't spontaneously happen. They had to be dug out of the memory banks of adolescence and young adulthood, and people had to respond in reciprocal relationships. Here is a rediscovery of a dense network of mutual bonding and trustworthy obligation. Bert issues an invitation and people respond. Bert Montgomery reminds us that home encompasses more than a state of mind or a place in time. Home is whence we’ve come . . . where we are . . . and forever where we long to be. Bert’s trip back to New Orleans is more than a trip back to a place . . . more than a longing for a time that was or that might be again. It is a reminder that we are who we are because of the places we’ve been and the people we’ve encountered . . . Reaching back over time and reaching deep inside, Bert reconnected with others and, thereby, with himself and with God.